The amazing properties of Titanium Dental Implants! Many materials have been used as dental implants. 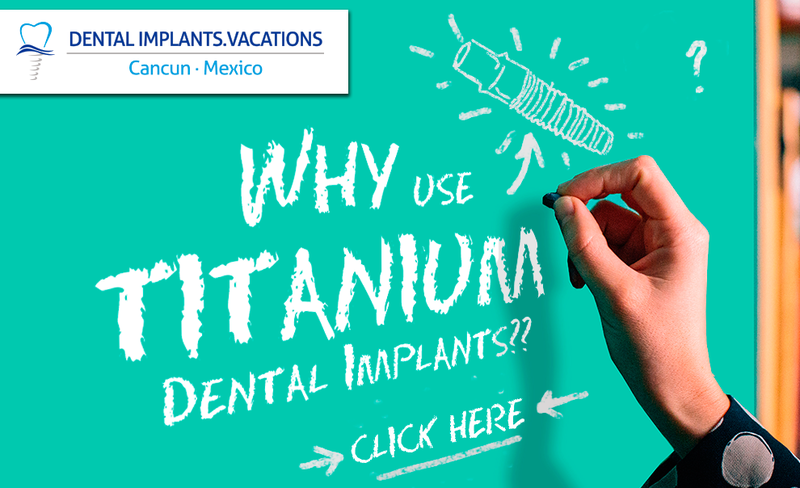 However, at present time, only titanium implants have been unanimously accepted through the field of medicine. This metal is capable of integrating into the bone perfectly, a process also known as biocompatibility. The reason why this is possible is due to a feature that other metals do not possess which make titanium dental implants amazing. We have several methods to detect them. The first concerns the presence of proteins foreign to our body that are quickly eliminated (ie, bacteria and viruses). This allow our body to defend itself from infection. This mechanism is also responsible for the organ rejection from other people. This is why a close match must be found. The second way regards the modifications that metal ions produce in our proteins, triggering a defensive reaction and rejection of the metallic agent. Metals in contact with bodily fluids capture oxygen, that was being carried by our blood. This makes them oxidase and undergo a process of ionization. This oxidation causes the outermost layer of the metal to suffer changes and “peal away” gradually. The ions released this way are unstable, and to regain stability they bind to host proteins, creating a metal-protein complex that is mistakenly recognized as an invading antigen and react as if they were an infection. Titanium does not do this. It first layer of atoms oxidizes but this does not affect the strong binding to the second layer of titanium atoms. As result, no ionized atom is detached, making it “invisible” to the immune system of our bodies. The bone and tissue heal around the implant and create bridges binding themselves to the porous surface of the dental implants. This is a fortunate fact for humans, because this way we can not only use titanium to replace teeth, but also in many medical applications. All of our dental implants are made of Grade 5 Titanium approved by the FDA and imported directly from United States. They are the same high quality as the ones used by American and Canadian doctors. If you want to know more about our services call toll free from USA and Canada 1-800-701-6039, or if you are already on vacation in Cancun and want to meet us, you can call us for an appointment at the following local number (998) 1-40-51-25.